This 10 day retreat is a brilliant balance between the inspiring sights and sounds of India and the inner journey achieved through daily Yoga and Ayurvedic treatments. 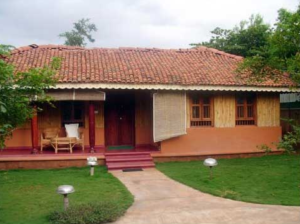 You'll see cultural gems like Chamundeshwari Temple, Mysore Palace, and the Giant Nandi, then return to our peaceful abode; The Indus Valley Ayurvedic Center (IVAC). Unless you find a better way, plan to fly into Bangalore Int'l Airport and you'll be escorted from the airport to the Ayurvedic Spa in Mysore. This is one of the basic rooms. Nice, clean, sufficient, but nothing fancy and no AC, which normally isn't needed in November anyways. Each room has it's own private bathroom. 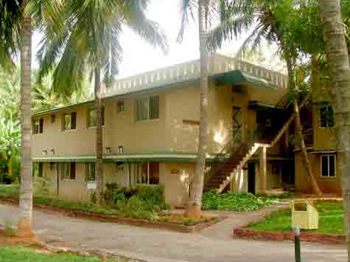 The basic rooms are in this building. 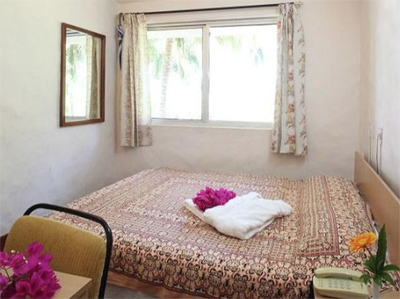 Deluxe rooms have a small entry room, a bedroom, an attached bathroom, and AC. ** There are less than 10 Cottages...they will go quickly!! 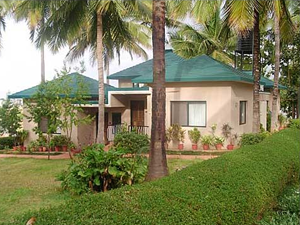 Cottages have one large room and a large walk-in bathroom. 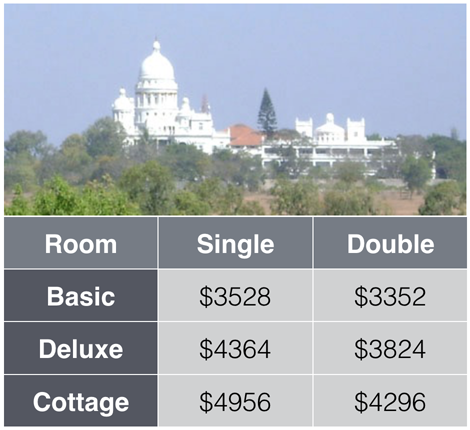 These prices are per person and include: transportation from BLR airport to the Spa in Mysore. 3 healthy spa meals per day, daily ayurvedic treatments, daily yoga classes, group trips to Mysore Palace, Chamundi Temple and Giant Nandi, and transportation from Spa to Bangalore. 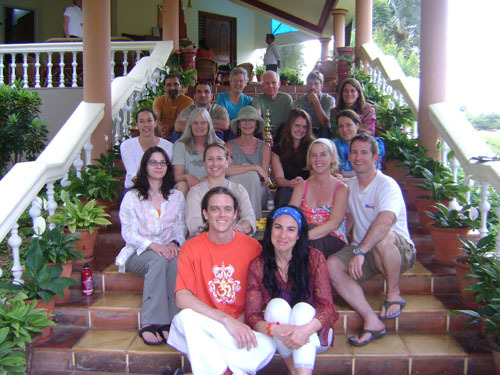 You will need to get a plane ticket, most likely to and from Bangalore, and after the retreat you will need a hotel in Bangalore the night before you depart, unless you make other plans. For all other details please click here. 2. Reserve Your Spot ...before it fills up.